“The Shattering” being written in novel form, reads as a fiction, but is a true story that will draw you, the reader, into the depths of its pages. It will open your heart to the richness that comes when there is just one thread of hope. It will enlighten you to the impact of what abuse does to a child and why they remain silent. It will answer your questions as to how such destruction to a child can continue in our society even today. 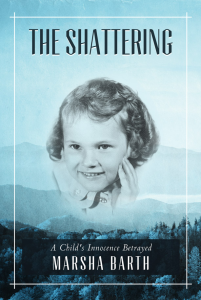 “The Shattering” is more than a story of the atrocities of abuse but it is a book that enables the reader to become that child, understand their fear, shame, guilt and blame and experience the joy that comes in the beauty of restoration and overcoming in victory. 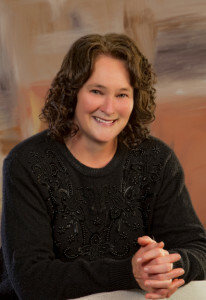 Filled with pictures, “The Shattering” imparts to the reader not only the tears of sorrow of the broken heart of a child, but also the hope that is woven within Julie’s heart by the bond of love of her heroes, her three big brothers and the strength that comes in overcoming when she discovers a God whose love is real. Julie learns that this God has not forsaken her and that He is not the cause of her pain but the joy of her restoration. Julie felt a tear come down her cheek. Where had the lost boy gone? What had caused his pain? What had broken his spirit at such a young age? Why were there no laughter or joy in his eyes? Had he suffered the same pain as her own? Had his heart already hardened at such a young age? All of this she wondered as she looked at the picture of the little boy that would some day grow up to become her father. Nancy glanced down at Julie now asleep in her arms. She pushed the tight ringlets of curls away from the tiny brow before turning to go back into the house. Suddenly, she turned. Far in the distance, she could hear the sound of sirens piercing the stillness. They seemed to be coming from all directions. The weeks began to pass quickly. The leaves on the trees speckled the mountainside in an array of fall colors of oranges and yellows. The cooler breezes beckoned in a new season. Julie could almost forget that terrible night at times, but then at other times, it seemed to come back upon her, terrifying her in the night…. It was a cool fall day. The dampness hung heavy in the air, making it feel much colder than it really was. Most of the leaves had fallen except for the brown leaves that hung limply on the large oaks. Julie heard the rumble of footsteps on the front porch and knew that her brothers were home from school. “Oh my goodness!”Julie squealed. “Sh!” Jerry said as he clapped his hand over her mouth. Julie pushed his hand aside and ran softly down the steps to where Ronnie was standing. Beside him stood a little red cocker spaniel wagging its tail. They named her Mamie. Mamie followed them to church every Sunday just as she would follow the foursome everywhere that they would go. “Oh, my shoes got all dusty from that dumb, old car,” Julie exclaimed as she bent down to wipe them clean with her hand. She clapped her hands together to try to brush the dust off her hands. “And when did you ever care about getting dirty?” Matt asked her, smiling, as Ronnie and Jerry burst out laughing. … Julie quickly slid into the pew where her brothers had sat down and squeezed in between Ronnie and Jerry. Julie listened to the music as she looked around the church. There were stained glass windows on either side. Each window portrayed a beautiful picture. One of Julie’s favorites was Jesus walking on the water. The bright sun streamed through the colored glass causing brilliant, little rainbows to dance upon the floor…. Julie stood outside the circle of girls and looked at her friends. She could feel her eyes starting to glisten as the tears rushed forward. She turned to run away. “Go ahead, crybaby!” Lindsey’s words taunted Julie. Julie could hear the other girls, even her friends, laugh and ridicule her as she ran away. Ronnie had had enough. He raised his fist and was ready to let go but stopped short. He could plow into Matt or Jerry, but it was harder for him to hit Julie. “What is your problem?” he asked. “What is wrong with you lately?” Julie bit her lip and felt the tears coming but refused to cry. “Nothing’s the matter with me!” she yelled. “You hear me…there’s nothing wrong with me!” she screamed at the top of her voice and then gave Ronnie a hard push. Ronnie was caught off guard and stumbled against the stair rail. Julie knew that she had crossed the line with Ronnie. She ran as fast as she could into the bathroom, slammed the door shut behind her and threw the lock in place. Here she would sit until she knew that her brother had cooled off. …. She hurried down the hill and almost tripped over her untied shoestrings. She didn’t call out to her brothers. She wasn’t sure if they would even want to wait up for her. She ran as quickly as she could to catch up with Ronnie who was walking off by himself. He didn’t look up. Julie thought he looked sad. His head was hung down, his shirt tail hung out untucked, and his hair was uncombed. She reached for his hand….. The more her thoughts raced through her mind and heart, the more on target the preacher preached. It scared Julie a little. It was as if the preacher could read her mind and thoughts. She had made up her mind that she would be angry at God. If God didn’t love her and wouldn’t help her, then she wouldn’t love God either…. …Julie had never felt such a strong presence of love as she did that day. She wanted so much to go up to the altar as the preacher had asked but felt too shy. If only her brothers that were sitting beside her would go up, then she would follow them. Julie peeked out of her eyes at her brothers as the preacher led in prayer and beckoned people to come. She held on so tightly to the pew in front of her that her knuckles turned white. She could see that her brothers also were holding on tightly to the pew. Julie wondered if they were feeling what she was feeling. Suddenly, Julie saw movement beside her, and as she looked up, she saw her Ronnie going into the aisle to go up to the altar. Jerry followed closely behind him and then Matt. Julie hurried behind them. As tears came down her face, she didn’t care who saw her. She didn’t care if everyone called her a crybaby…. I don’t think any encounter is by chance. I’m sure God wanted us to meet for some reason today. Your story is incredible and I pray that your journey will continue to bless you and others. Hope you made your appointment!